There are very few insects that can rival the level of nuisance that mosquitoes bring to society. Mosquitoes are not just pests, but also transmitters of diseases; some of them even deadly, such as malaria and dengue fever. They don’t just pester humans, but also all kinds of animal, including house pets and farm animals. Mosquitoes can be deadly and mosquito bites can be painful. It is very important that their population be controlled; or better yet, eradicated. There are actually several ways to indoor mosquito control in a given area. One such way is by using general household tools and ingredients. 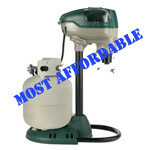 One of the most popular home-made mosquito control methods is the 2-liter bottle mosquito trap. 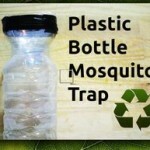 The 2-liter bottle mosquito trap is basically a mosquito trap that uses sugar, water, and yeast. The idea is to trap the mosquitoes inside a 2-liter plastic bottle, by drawing it with the sugar, water, and yeast mixture. 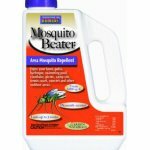 2-Liter Bottle Mosquito Trap: Does it Work? Mosquitos are highly attracted to carbon dioxide (CO2). The key to this method is the mixture of the sugar, water, and yeast. When you mix these three ingredients together, CO2 is created. As a dense volume of CO2 is created within the 2-liter bottle, this attracts the mosquitoes. Another thing that attracts the mosquitoes is the color black. This is why it is highly advisable that the 2-liter plastic bottle is wrapped in black lining; to further attract mosquitoes to it. 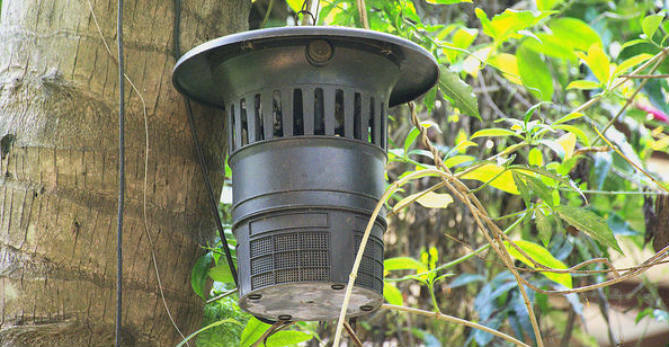 As with all mosquito traps, trap placement is very important to optimize your catch rate. Another way to control mosquito populations, aside from mosquito trap DIY, is by using an indoor mosquito trap. An indoor mosquito trap allows you to control the mosquito population within a small, enclosed area, such as a room. 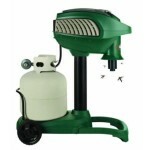 Unlike the 2-liter plastic bottle mosquito trap, indoor mosquito traps are not manual, rather they run on electricity. These traps utilize ultraviolet rays to draw in the mosquitoes. Once drawn in, the trap then uses a suction mechanism to shut in the mosquitoes into a compartment of the trap. So do indoor mosquito traps work? Yes, they do. However, the rate of effectiveness of indoor mosquito traps is very much dependent on the area you want to cover. This is very similar to the importance of trap placement of outdoor propane mosquito traps Although effective, an indoor mosquito trap can only work within a small area, like a bedroom or a dining area. It’s meant to cover only a short range. 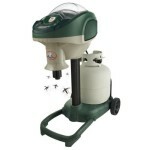 Indoor mosquito traps will not likely work if they are used outdoors, to cover a huge expanse of space. Although it is likely that it will work within a small radius. There are many kinds of mosquito traps, both for indoors and outdoors. Most of them employ ultraviolet light to attract mosquitoes. There are some traps that kill the mosquitoes by trapping them and then dehydrating them much like the mosquito magnet traps with their nets. There are also some traps that kill mosquitoes upon contact. There are also many brands of mosquito traps. Each of these will be discussed and compared below to give one a good idea of how these mechanisms are similar and different at the same time. For comparison, we will take a look at four different mosquito traps, see the common things they can do, and how they differ from each other. 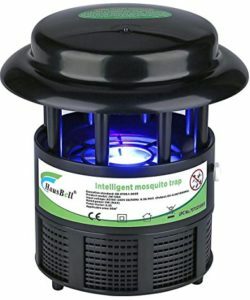 This insect trap is similar to the Electronic Indoor Insect Killer Zapper, employs an electric metal grid in its system, while kills the mosquitoes upon contact. However, it employs better technology. 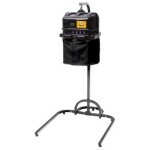 The FC-8800 is very heavy duty and is great for both indoor and outdoor use. It is also a lot safer, as the grids are situated deep inside the device. Of course, as this device also employs electrical grids in killing mosquitoes and other insects, this still has zapping noises. Also, it is quite expensive, compared to other insect traps. The Electronic Indoor Insect Killer Zapper is not so much an indoor mosquito trapper, as it does not really trap mosquitoes. 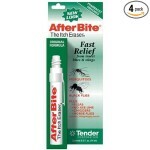 Rather, it kills mosquitoes and other insects upon contact. 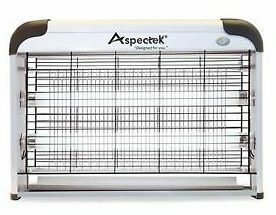 Most people call this type of device a ‘bug zapper,’ because it kills mosquitoes and other insects using an electrical metal grid. 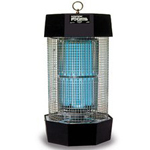 The Electronic Indoor Insect Killer Zapper can be used both indoors and outdoors. Of course, it is more effective for the former. Some people do not like using this type of device because it can be disruptive, as the device makes loud sounds when it kills mosquitoes and other insects. It can also be a bit unsafe, especially with children and pets around, as the grid uses electricity, and can shock anyone who touches it. The advantage you get from this type of insect trap is value. 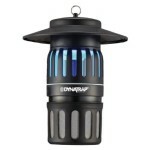 Unlike other high-technology insect traps, this is very affordable. 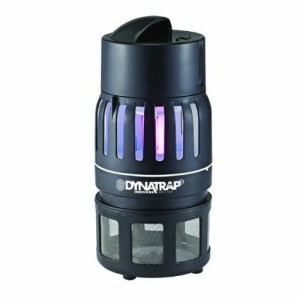 3-Dynatrap Insect Trap – Indoors 1000 sq ft. This type of insect trap is exactly like the insect trap mentioned earlier in this article. 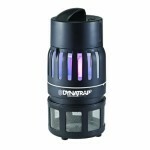 Unlike the two insect traps mentioned above, the Dyntrap does not operate with an electrical grid. Rather, it uses ultraviolet light, with emanates warmth, and Titanium Dioxide (TiO2), which generates CO2, to lure in mosquitoes. The mosquitoes are then sucked into a compartment of the trap using a fan, where they are left to dehydrate and die. With this device, there are no disruptive noises. It is also a lot safer, thanks to the technology it employs. If a power supply is not available where a pest trap is needed, the Hot Shot Hanging Strip could be the solution. 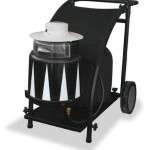 The Hot Shot works by emitting chemicals which kill various crawling and flying insects. These traps are effective for up to four months and can cover a ten by thirteen-foot area. 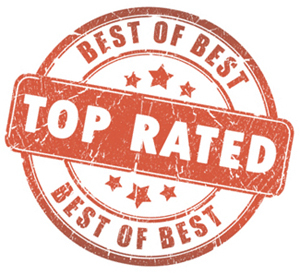 Another huge selling point of this Hot Shot, in addition to its’ effectiveness, is the price. This is one of the cheapest and easiest indoor pest repellent solutions. This is one of the smallest indoor insect killers. 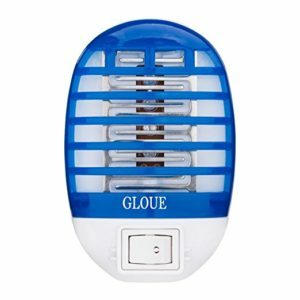 The Gloue is a chemical-free device which attracts mosquitos and other pests at night via a LED light. Mosquitos are then collected inside the trap which will have to be periodically cleaned. In order to clean, the cover needs to be removed and then cleaned with a tissue/cloth. A big plus of this trap is the fact that it doubles as a nightlight and is one of the most affordable indoor mosquito control options. 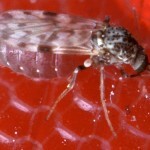 The Stinger works in a similar way as the Dynatrap Insect Trap. The main difference between these two is that the Stinger is a lot cheaper compared to the Dynatrap Insect Trap. This is likely due to the fact that the Stinger covers a smaller area as compared to the Dynatrap Insect Trap, and the fact that the device cannot target bigger insects, like fruit flies. However, it is equally effective against mosquitoes and small flying insects. The Hausbell Intelligent trap is intended for indoor use which is designed to accommodate any decor. What makes this trap intelligent is its’ ability to automatically turn on and off at dusk. 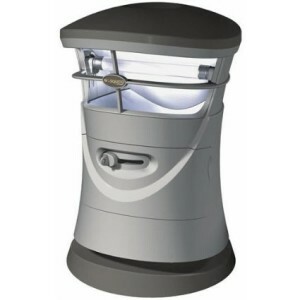 The built-in light sensor activates the trap at optimal times to trap as many mosquitos as possible. For even more optimal results, the trap should be placed between fifty-nine and seventy-eight inches from the floor. This is a chemical-free trap which works by attracting pests to its light and zapping them with its internal grid. Dead mosquitos will then fall into a collections tray below, making this trap super easy to clean. Because the light that is emitted is a soft glow, this trap is the perfect solution for bedrooms, kitchens, or living rooms.